Being in the core, cheaper has introduced baby food warmer heating elements. 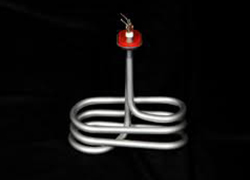 Chhaperia is in the industry of electrical heating element producer since 1994. The years of journey with quality practices while manufacturing made it a renowned one across the globe. Our efforts continue in manufacturing the heating elements, and we aim to become a leading producer and supplier of heating elements worldwide. Among the products, baby food warmer heating elements are one of the best we produce. Based on the application, automation and manual processes are involved while manufacturing a heating element. Advanced heating technology heats the food fast, and the food or milk can be maintained at the desired temperature. Adjust the temperature with the temperature dial. Being in the core, cheaper has introduced Nomex heater for baby food warming. We design and develop all kinds of electrical heating elements, and with the same aim, we have manufactured baby food warmer heating elements, a basic need.